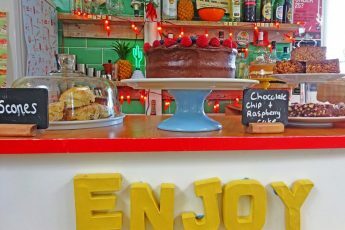 Bajan Breakfast Banana Bread, Smoky Mexican Bean Soup, Ah Yeung’s Sweet and Sour Fish, Tian Provencal, Cypriot Pastitsio, Alabama Peach Crisp, Nanny’s Fresh Orange Layer Cake … the list of delicious recipes from home and abroad sets my taste buds tingling. 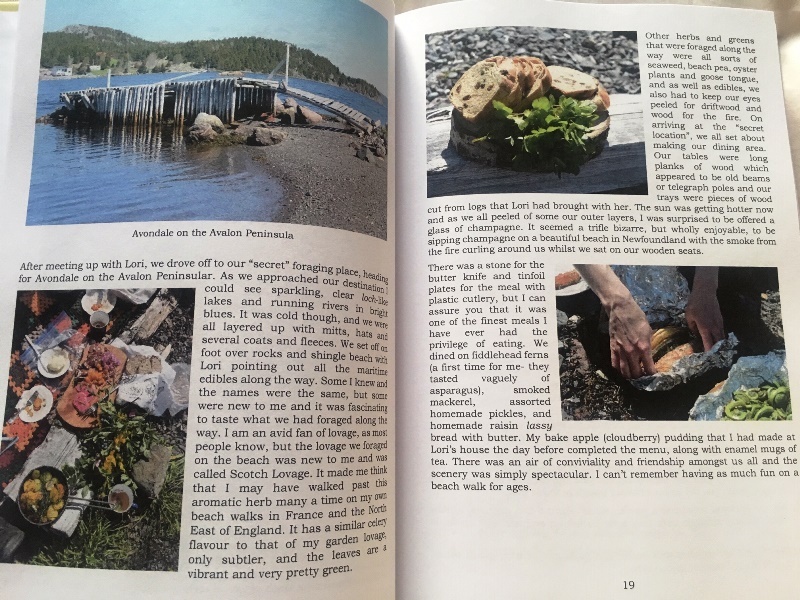 I’m enveloped in the foodie delights of Lavender and Lovage: A Culinary Notebook of Memories and Recipes from Around the World, written by fellow blogger Karen Burns-Booth. 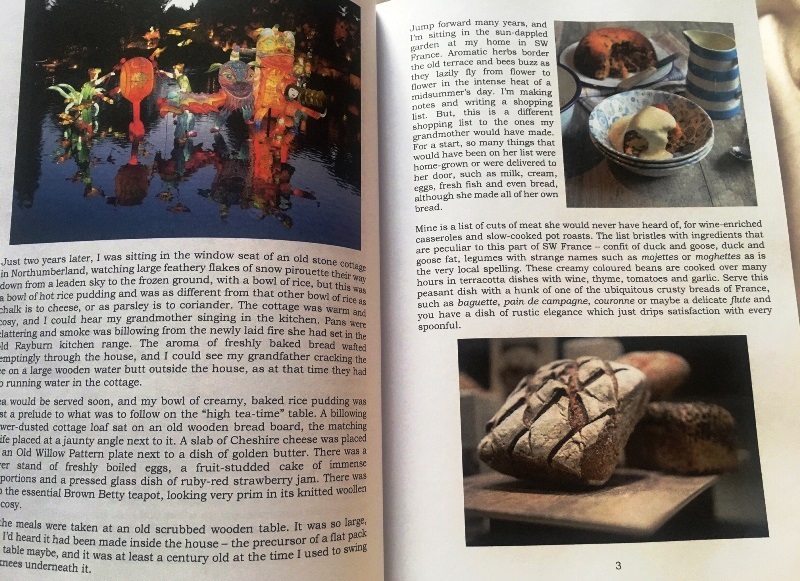 This book is a magical combination of recipes and anecdotes from Karen’s time living, working and travelling around the world. 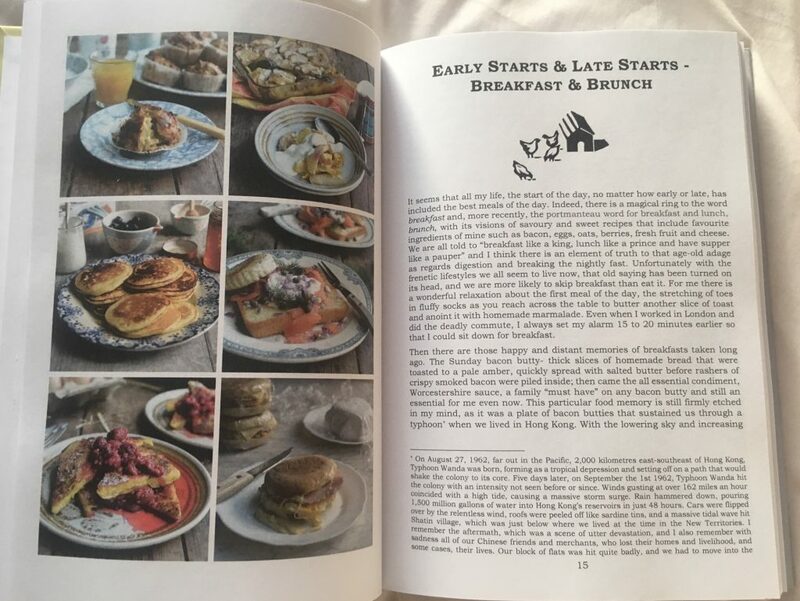 This huge book has 160 easy-to-follow recipes and oodles of charming stories, connected to either the recipe or the place she came across it. Karen could easily have produced at least three books from this content but she has very kindly put a huge amount of work and dedication into ensuring we truly get value for money here. 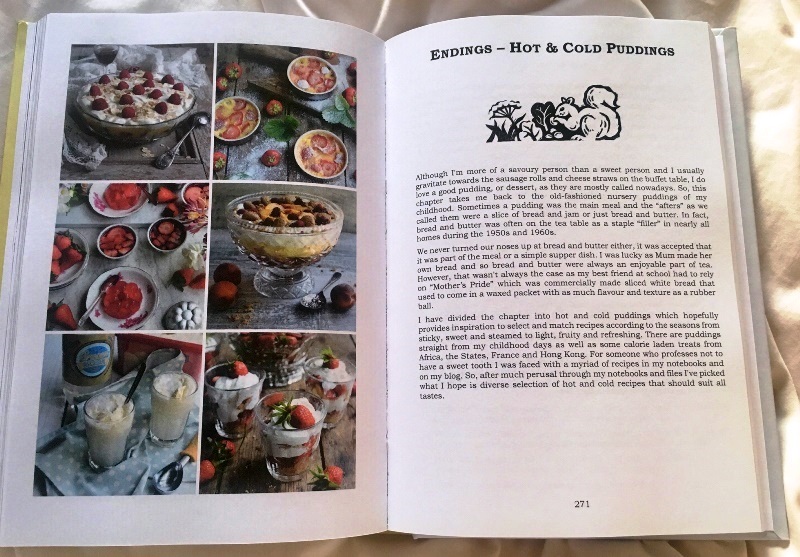 The recipes are divided into beguiling chapters such as ‘Early Starts and Late Starts’, ‘Beginnings & In-betweens – Soups, Starters and Snacks’, Midlings and Main Courses (including Vegetarian), ‘Home on the Range – Bread, Scones, Cakes & Biscuits’, Endings – Hot and Cold Puddings and ‘On the Shelf – Jams, Chutneys, Pickles & Marmalade’. A glance at the front Table of Contents is a whirl around the globe from New Foundland Toutons (P20) to Amah’s Cold Sweet Rice (P387) via Turkey Megeuz Meatballs (P152), Korean BBQ Beef (P174) Ontario Butter Tarts (P266) and much more. 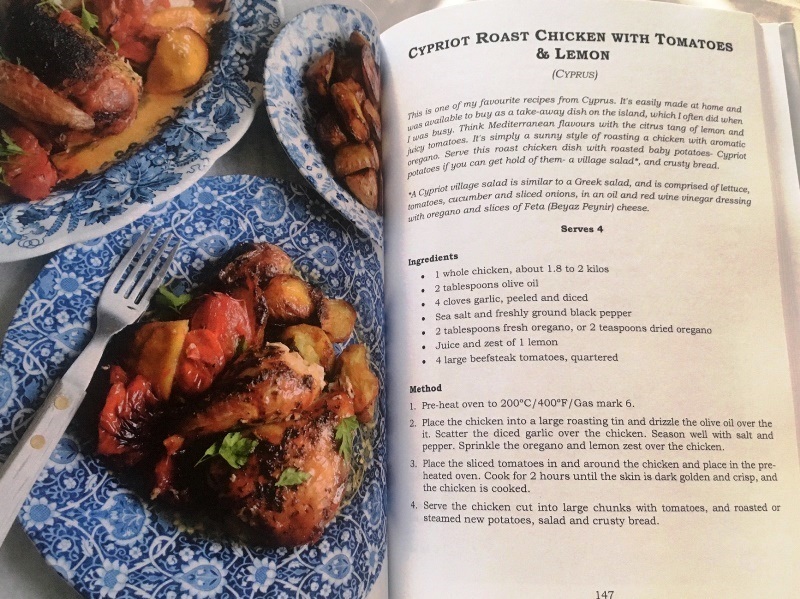 At the back of the cookery book is an Index by Continent and Country which includes Morocco, Argentina, India, Nepal, Singapore, Malta, Cyprus, Italy, Spain, Greece, Sweden and Barbados. My only slight disappointment is that it doesn’t have an index by ingredients, but then it would be an even bigger book! This is a great book for curling up on the sofa with a cup of coffee or glass of wine and thumbing through the pages, dipping into tales of her grandmother’s French home and jaunts all over the place. I was taken back to the wonderful food and drink in Canada by the recipe for Montreal Poutine (P379), which I first tasted in Quebec Province – and LOVED, as you can see by my face in the photo here A Magical Mystery Tour of Montreal Culinary Heritage. The book isn’t just about food from around the globe; Karen includes many recipes from Great Britain, including Yorkshire Fat Rascals (P317) – yes, like those you get at Betty’s in Harrogate, Scottish Raspberry and Whisky Steamed Pudding (P276), Welsh Rarebit (P109) and a local favourite, Cumberland Rum Nicky (p267). 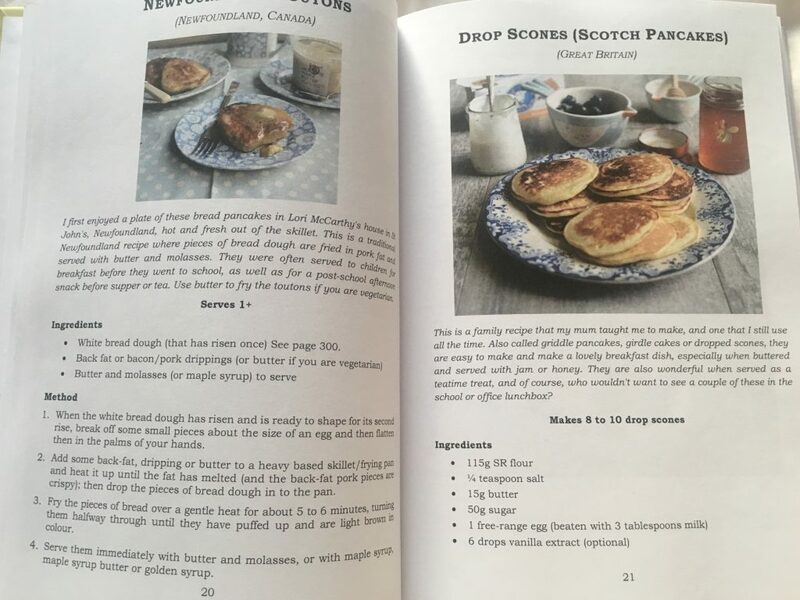 So far I have made the Drop Scones (P 21), as good as my Mum’s, South African Bobotie (P170) which has genuine flavours of the veldt, Strawberries and Cream Quick Trifle Pots – yes, definitely speedy and yummy, Swedish Potato Salad (219) excellent, plus a handful of others. Each recipe is clearly laid out, easy to follow and uses ingredients which are nearly all readily available in the UK. I’m very much looking forward to trying many more over the coming months. 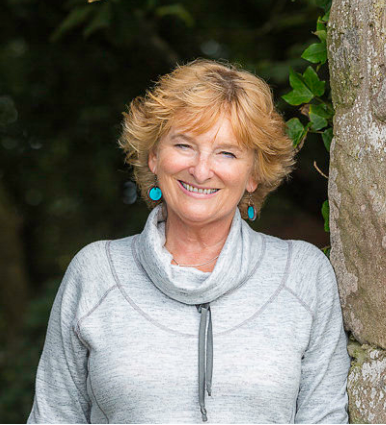 Find out more about Karen Burns-Booth, her food adventures and other books. 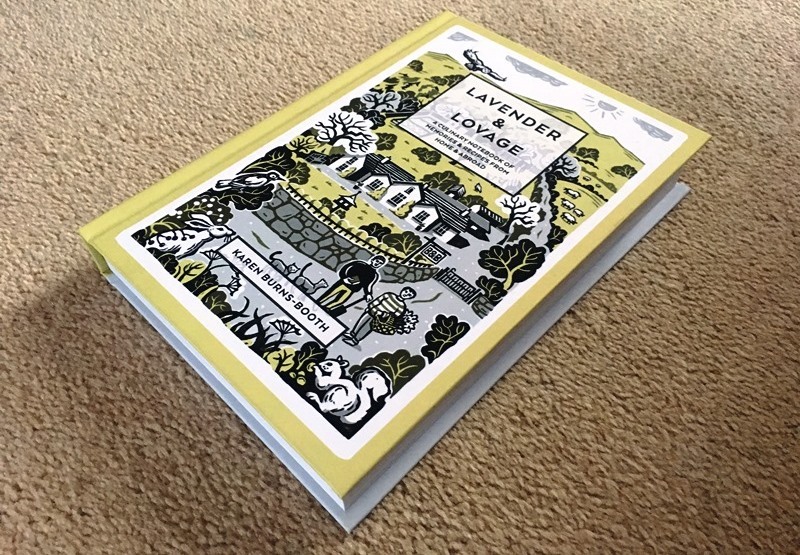 You can buy ‘Lavender and Lovage; A Culinary Notebook of Memories and Recipes from Around the World online here. It would make an excellent Christmas gift for anyone who loves food and travel, which is most of us! Without doubt, this excellent book should become a staple on any cook’s book shelf. But it is so much more than a recipe book and will delight all who love travel and foodie adventures around the world.